When it comes to moving in with another person, it’s easy to get caught up in the excitement of a new chapter in your life. Whether it’s financially motivated or the next step in a relationship, living with another person can be a swirl of celebrations and challenges. Before a lease is signed or boxes are unpacked, it’s important to have a game plan in place to avoid future arguments and tense moments. 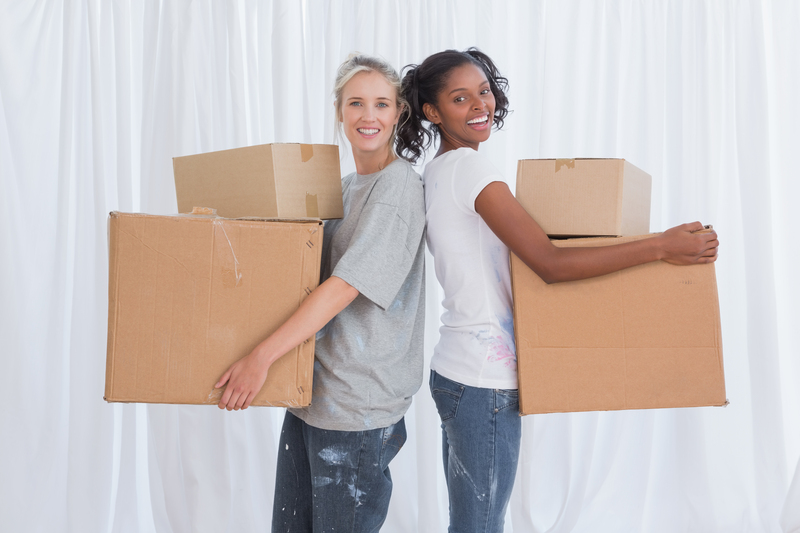 Here are a few tips to ensure smooth sailing through the stages of cohabitation. Early on, decide who is responsible for what when it comes to furniture, decor, and bills. This is essential especially if you have a smaller space. You don’t want to end up with two microwaves or couches taking up your limited space. Decide together ahead of time on a certain color theme or style you would like the apartment to have and purchase accordingly. Also, decide how bills will be split and paid so there are no surprises when due dates start popping up. It doesn’t matter if it’s an old friend, a new acquaintance, or a long-time love, communication and compromise are extremely important when living in close quarters. Schedule a time each month to catch up over coffee or dinner to discuss concerns in a casual setting. It’s easy to bottle up little grievances in hopes of keeping the peace, but almost always, it can result in turning into an unexpected tantrum during a calm conversation about who should take the garbage out. If you can’t immediately communicate your feelings or issues, work on compromising as well. Living with someone else is challenging at any age and part of maintaining a healthy home life is compromising when it comes to the little things. By setting ground rules early, keeping an open line of communication, and being able to compromise, living with a roommate can be a breeze! For more apartment living tips, contact us today!